This is an updated post on my eDiva Princess system. I got a new camera and switched my organization system around a little bit since I posted about it the first time, so I wanted to update the blog and show you all how much I am STILL in love with my eDiva almost a year later. 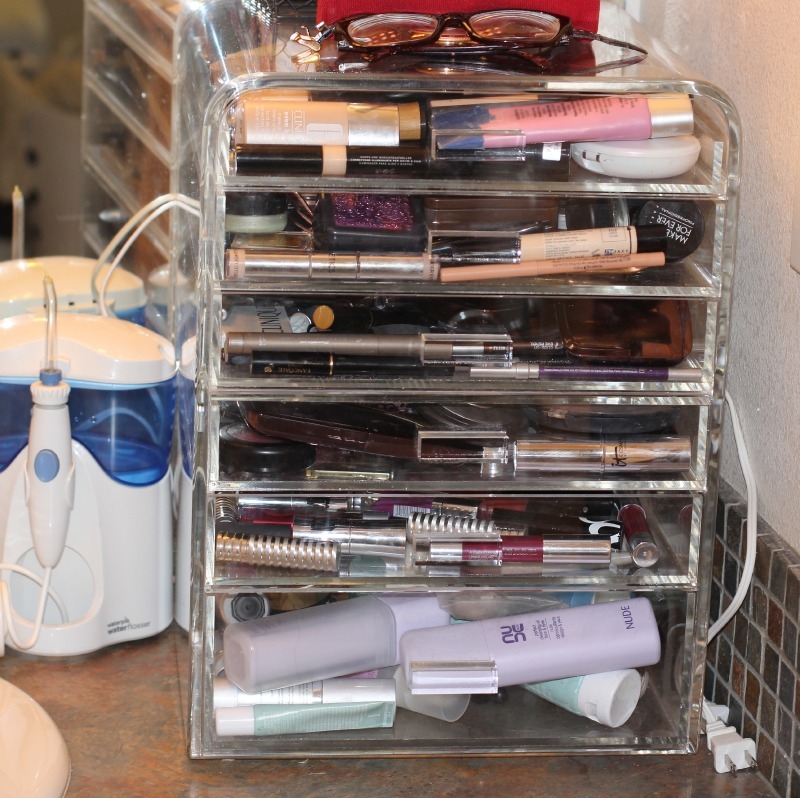 If you want to check out my FULL makeup organization and storage post, check this link where I cover all my makeup and beauty storage for small spaces ideas. I spent several days writing the post so I hope you get lots of great ideas from it!What I want to show you today is my eDiva Princess system. 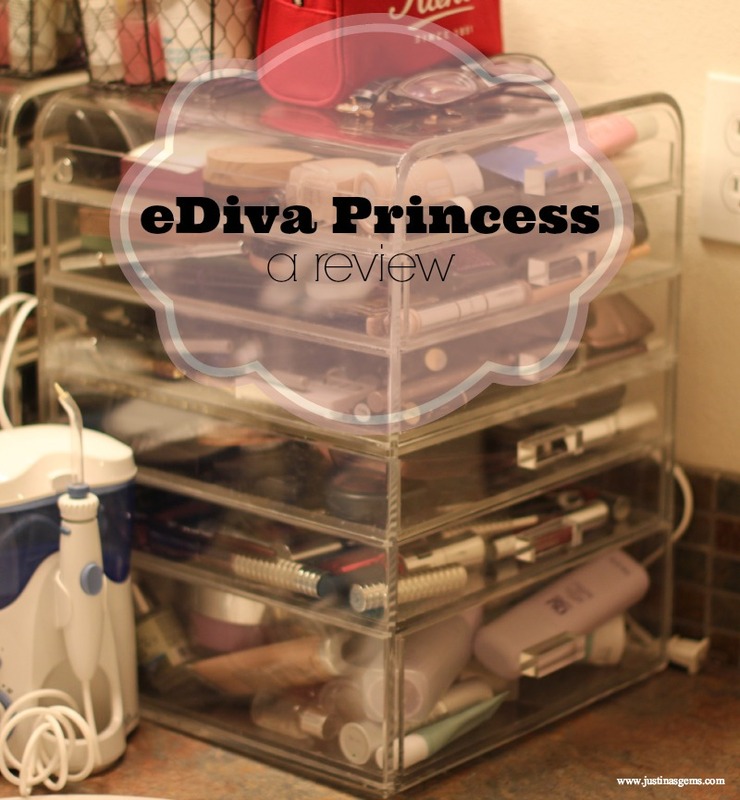 eDiva has two great options for makeup storage- one is the Duchess which is a little smaller (5 drawers) and the Princess, what I have, which is 6 drawers. You can compare them on their website in further detail.This arrived to my house in a box inside of a box. It came in about 4 business days, very promptly, and packaged perfectly. Now it lives on my tiny bathroom counter. My counter is super small and there is very little drawer space, so an organizational system like this is really a must have! I love that it holds so much! As you can see in the picture below, I am easily able to store this system on my narrow countertop, and I still have enough space for my electric toothbrush and my waterpik flosser. The Sherrieblossom ICEbOX is also really nice and fits in this small space but if you check my bigger post you’ll see that I moved it into the hallway. The dimensions are 12″ high by 16″ wide. The smaller of the two models is $198. This model costs $297. Although the price of each is rather steep for these acrylic organizers, eDiva is nice enough to split the cost over 3 months for you if you’d like, bringing your bill to either $66/mo for 3 months or $99/mo for 3 months if you get the one that I have shown here. Price would be the biggest deterrent from buying something like this, so the option to split payments is very helpful! The top drawer is the smallest drawer. The next three drawers are the same size, and bottom drawer is extra large. The bottom drawer is deep enough to hold tall bottles so many people prefer to store nail polish there. This storage cube doesn’t really look that big, because as you can see it’s on a super narrow countertop. But I’m shocked by how much it holds! First drawer– primers, foundations, powders. Third drawer– palettes, eyeliners, and mascaras. Fourth drawer– blushesFifth drawer– lipsticks and lip glossesSixth drawer– skincare This also comes with dividers which I haven’t pictured, but they are super helpful to separate everything in quadrants. I’m trying to stuff this organizer to the gills, so I ended up taking out the dividers because I found I fit a bit more that way. From this front view, you can also see the small little rectangle handles on the front. I have an ever growing makeup collection. This didn’t hold ALL of my stuff, but it more than does the job for things I use on a daily basis. I think the average makeup user would find that this fits everything in their collection and then some. The average woman probably doesn’t even need something this large, and the Duchess would be more suitable. This would make a phenomenal gift- it was literally like Christmas morning when I opened this. It’s hard not to get super excited about a huge storage unit like this. It renews my excitement to stay organized with my beauty things. I originally set this on my vanity that is made from painted wood. It’s quite heavy when full, and has little circular discs on the bottom four corners. When I lifted it and moved it into the bathroom, it peeled the paint off of my vanity in four tiny circles. Just be wary if you choose to store it on something with paint, and maybe put a cloth down underneath. 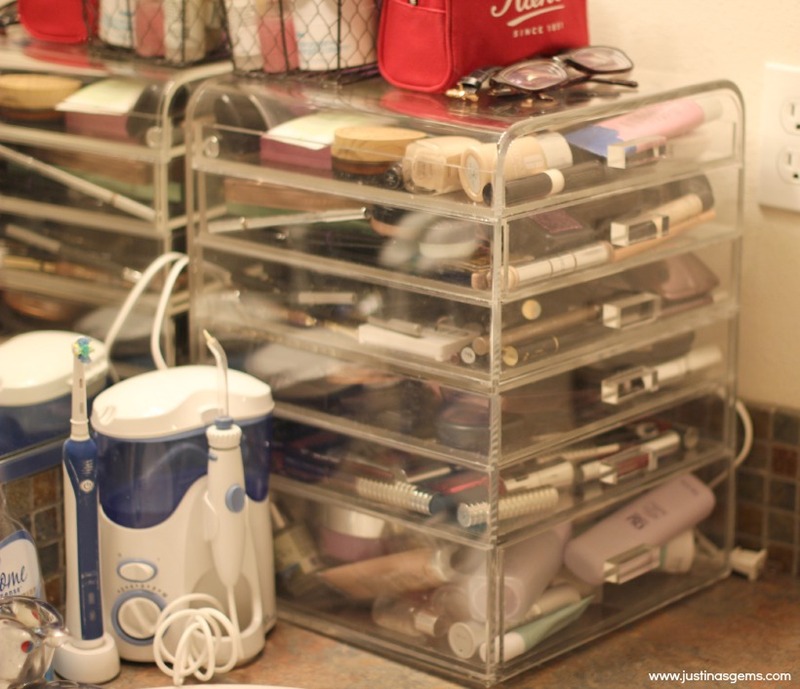 I think this would be a perfect way to store crafts and not just makeup! In fact, I’m sure my husband’s paints for his hobbies would find a nice home in the eDiva, but I’m not giving it up! Few companies have a way to help you out with the price. I know $300 is a lot to drop in one sitting, but it softens the blow being able to split that up. I think most people would choose to split their payments up over 3 months! What do you think of the eDiva? If you’re interested in checking it out, shop below! Looks great! I love mine. The Lancome shadows look nice stacked up that way, I may do mine like that. This certainly doesn’t come close to holding my entire collection but I keep my most favorite high end products in it. Yours looks great on the counter like that.